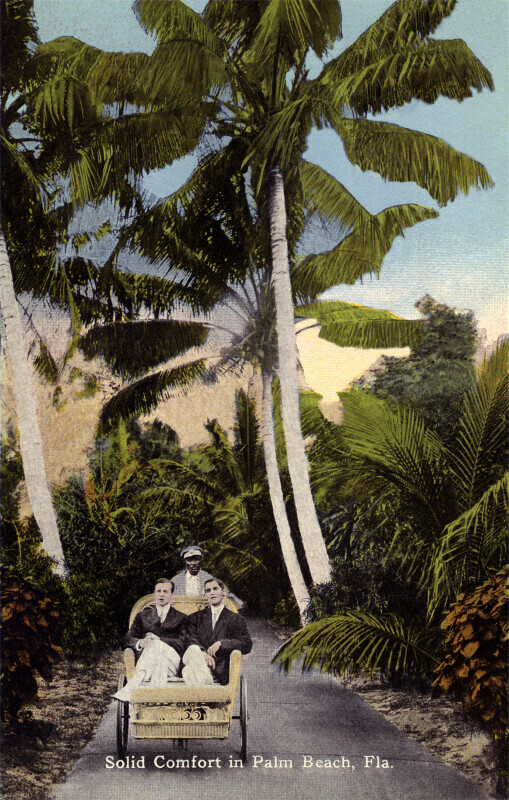 This image shows two men being drive, along a paved trail, in a bicycle chair. There are palm trees growing on both sides of the trail. WARNING: You are about to download a 12.8 MB TIFF!